Many of our Members and Bloggers have heard, read, or been told that it’s not good to include links in your Blog posts to other sites. Nonsense! In this post, I’ll share my difference of opinion, then show you how to do it. Creating Hyperlinks to Anchor text can be very powerful and beneficial to your Blog for multiple reasons. Useful and informative links bring more value to your readers and targeted audience, they increase your SEO, and they drive traffic back to your blog from those who you are linking to. According to many experts, creating anchor text boosts your search engine rankings and can make all the difference in the world to your Blog. “It tells search engines what the page is about. Used wisely, it boosts your rankings in search engines. What is Anchor Text? Anchor text is the hyperlinked word(s) or phrases on your blog or website page – the words that you can click on to be taken to another site, Blog, or web page. What is a Hyperlink? A Hyperlink is the underlined word which is commonly referred to as embedded text or an embedded link. It’s usually a blue underlined word that turns purple once it’s been clicked on. 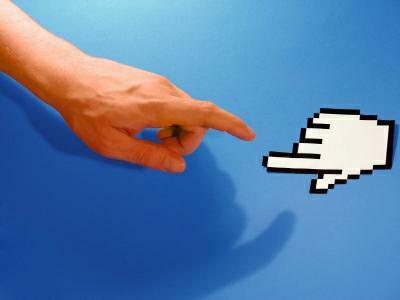 When you hover your mouse over a Hyperlink on a page, the arrow of the mouse will turn into a hand, and the URL or web address of that Anchor Text Hyper Link will appear in the lower left hand corner of your browser. Hover your mouse over this Anchor Text Hyperlink but don’t click on it, you’ll see the Web address displayed at the Bottom of your Browser. If you click on the Anchor Text Hyperlink, you’ll end up right back here at this post. Why? Because that’s how I’ve setup the hyperlink for that Anchor Text phrase. How do you create hyperlinks and what is considered good Anchor Text? Here’s a couple tips: Words like CLICK HERE, and READ MORE are not the suggested anchor text to use on your Blog posts. They carry less value, and even moreso, they’re less likely to get clicked on. Also creating URL Anchor text IE: http://activerain.com/blogs/activebrad is less valued than using keyword(s) Anchor Text like “ActiveBrad’s ActiveRain Blog” If you want to see what other members have written about this Anchor Text topic, check out ActiveRain Anchor Text Blogs. Creating a hyperlink to Anchor Text is really easy. 1. Type the keywords or phrase (Anchor Text) you want to use as the hyperlink within your Blog post. 5. Now click on the “Insert” button and your Anchor Text will be Hyperlinked to whatever URL or Web address you’ve entered. If you hover your mouse over the new link, this is where you’ll see the “Title” you created pop up over the hyperlink. This should help get you started creating Hyperlinks to Anchor Text and key phrases, and understand why it’s important that you do this on your Blog posts. Don’t get carried away with these though, if not used wisely, too many hyperlinks to anchor text can do more harm than good. The recommended amount of Hyperlink Anchor Text ranges depending who you talk to, I suggest no more than 3 or 4 per Blog post. So what type of links are you thinking about now? Maybe Local Schools? MLS or IDX sites? Chambers, Restaurants, Local Businesses etc.? Yes! Finally something about home sales. I am really thankful to the holder of this site who has shared this impressive paragraph at at this time.